Cloud Based Solutions to Real World Problems. Focus On Your Business, We Will Focus On Your Technology. From Custom Software Development, Mobile App Development, Embedded Software, Alexa Skills, & Cloud Services our team is highly decorated with years of success. 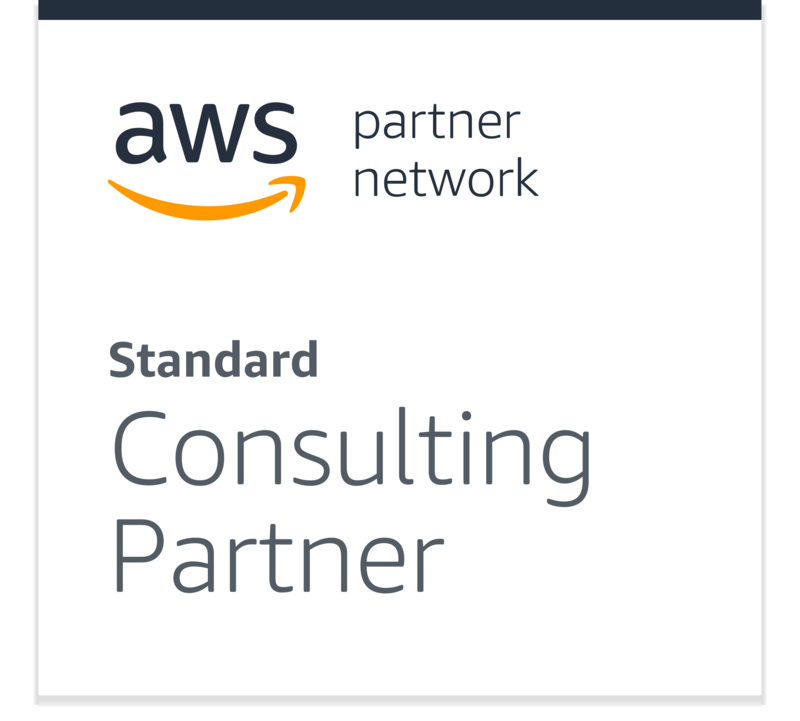 As Amazon Web Solution Consulting partners, we ensure the applications we develop and manage are highly scalable, secure, elastic and mobile. Whether the solution is an internal business process optimization, a B2B or B2C solution we have done it all. Whatever “Success” means to your business, we adopt that understanding to become the right results-oriented team for you. Learn about the Grata Process from the video to the right & see the results we bring to the plate below. 6 Seconds EQ: Web & Cloud: An International Non-Profit used by 3,500 Daily Users, with well over 56,000+ surveys administered. Guestbook, powered by Bluetent: Web, Mobile, Alexa & Cloud: A Property management SaaS with 10,000 Vacation Properties & 240,000 reservations. Jackson Adjustment Company: Web, Mobile, & Cloud: A Nationwide Flood Catastrophe Claims Software, currently with 20,000 Insurance Flood claims filed and the system can handle 1,000,000+ claims. Yellowstone Landscaping: Web, IoT, Mobile, & Cloud: We created a custom logistics & payroll software that saved 35 managers 2 hours a day totaling 6,500 hours a year and $156,250 in savings. Hamlin & Associates: Web, Mobile, & Cloud: The largest Direct Mailer in America, they send 1,000,000+ of pieces a mail annually to the clients of Rolls Royce, Hendrick Automotive Group, JM Lexus, and Dealerships all throughout the USA. We help you innovate software products that add value to your customers and your business. From improving internal workflows and communication, using machine learning and AI for Big Data, to improving your consumer’s engagement with you, we have experience developing it all. Strategically maximize cloud services by building an impactful & disruptive cloud-native web, mobile, and IoT solutions. With our Cloud Consultants & Professional Amazon Web Solution Architects and Developers, we make the optimization of your Cloud infrastructure a breeze. Get to know what our clients think about us, who we are, and the awesome products that we have created! Grata Software: Learn How We Help You Be Successful! 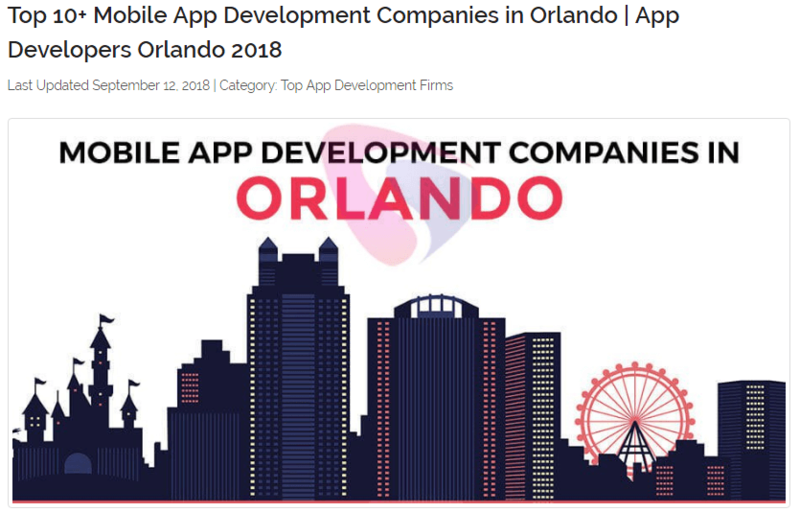 Grata Software Is Named Top Mobile App Development Company In Orlando Florida! Grata Software Recognized For Excellent Development! Grata Software Is Named The Top App Development Firm In Orlando Florida! How Designs Play into the Success of Projects! We make inspirational products to commemorate your personal achievements. Come run with us and run with the character. 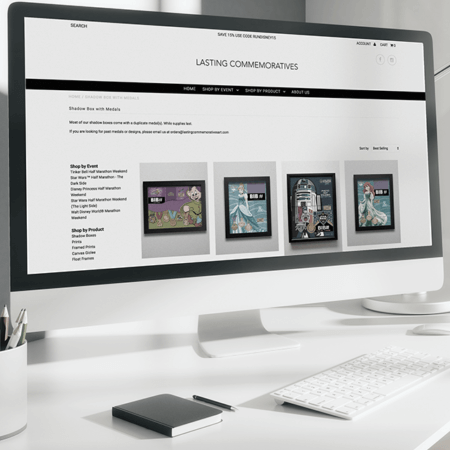 At Lasting Commemoratives, our goal is to provide innovative products that recognize your achievements and create lasting memories for your event. A Fortune 50 company headquartered in Central Florida, around their amusement parks, partnered with a trophy and medallion company, to offer commemorative trophies and medallions to those who ran in the 5k, 10k, half marathon, and marathon races. The company needed a way to integrate their backend ordering system to sync up with the Fortune 50’s client facing software. Doing that would allow the thousands upon thousands of order and shipping information to be transferred in between the systems. The manufacturing company called on Grata Software to handle the integration as it involved a series of highly technical complications that needed to be resolved. Grata’s team was able to perform the integration to spec and provide the necessary solution to allow for the fulfillment center to process large numbers of orders in real-time. Once orders are processed, the fulfillment center provides shipping and tracking data back to the ordering system to notify customers of delivery. Grata Software works with Entrepreneurs and Established Businesses to Create New high-growth applications on cloud-based technologies! We are able to lead every single path to success through our TripleAIM Methodology: Analyze, Advise, Architect, Implement, Manage. We, at Domain Homes, define ourselves as an urban renaissance new home builder. We procure home sites in Tampa Bay’s sought-after, established neighborhoods including South Tampa, West Tampa, North Hyde Park, the Heights, and St. Petersburg. Location is important to our buyers and we have chosen to fill a significant market niche by finding opportunities in these elusive markets to build new construction homes. We are proud to be the premier urban new home builder in Tampa. Domain Homes in Tampa, FL builds pre-designed custom homes wherever their customers desire. This home builder came to us because they wanted their website to automatically show their currently available homes. Th issue was that all the of the home information is stored in their financial ERP program and the data doesn’t translate to the website. We created a custom solution to integrate the home inventory from the financial software with the client facing website. This information refreshes every night at 1 am EST in order to stay accurate and relevant. 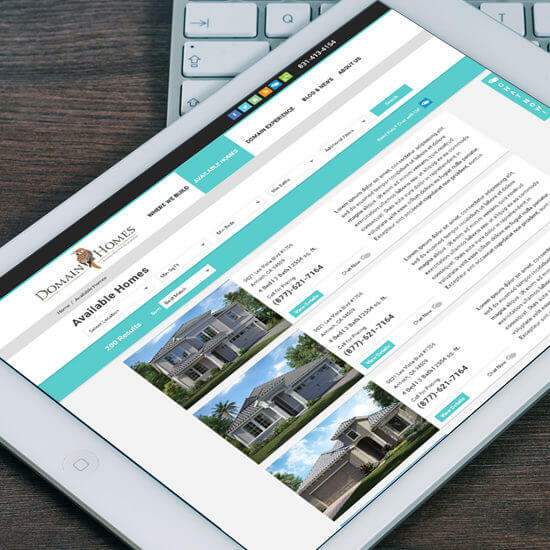 Our team additionally built a companion plug-in that displayed the available inventory on the builder’s WordPress site providing a similar user experience to that of Zillow and Trulia. The site went on to win the award for the best home builder website in 2015. The solution improved the ability for consumers to interact and see available inventory, while also cut all the time that managers needed to update the website every single day. We are incredibly honored to be named one of the best mobile app developers in Orlando. 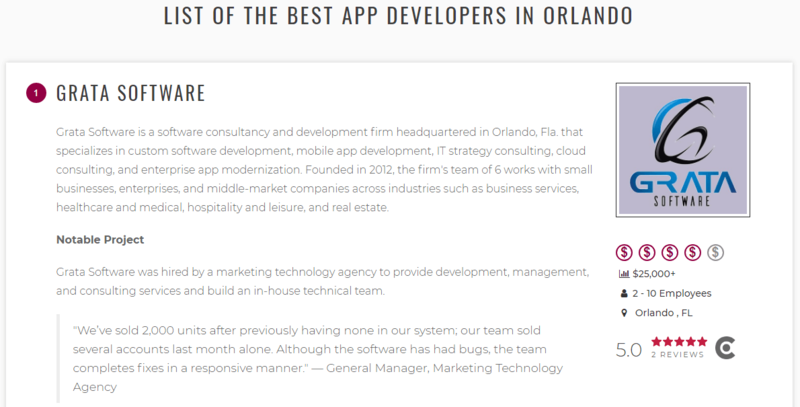 We are incredibly honored to be named one of the best mobile app developers in Orlando. Grata Software was chosen after a thorough review of our work and client feedback. We are glad our hard work and dedication with every client we partner with has gained success with the products and custom software we develop. Continue to check out the work we’ve done on our Insights page and contact us about our 6 week R&D Package to obtain detailed information about how we can help you with your product! The original list by TopAppDevelopmentCompanies.com can be found here. Guestbook is a SaaS product designed for professional property managers to manage properties and reservations aggregated through several property management solutions on the market. The product provides several touch points of communication to aid in the management of reservations as well. GuestBook was an angel-funded venture with a fully-featured mobile and web application that integrated data from several property management systems licensed by their customers. The concept was to make it easier for property managers to manage all of their inventory from one location. 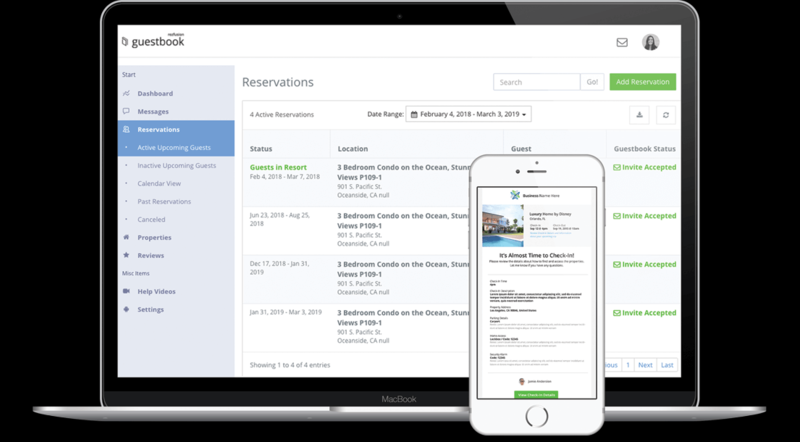 Additionally, GuestBook provided a revenue stream for their property managers by incorporating the sales of tickets for attractions and events at rental destinations. Property managers would earn a commission on the receipts of sales. 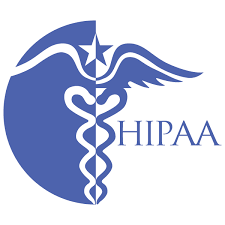 Throughout several weeks, the Grata team familiarized themselves with the application, audited the code and architecture of the and reviewed months of conversations, notes, etc. between GuestBook and the various development teams. Our assessment revealed the application was in a deficient state for the amount of time and financial effort spent on the application. The development process and product roadmap were ad-hoc with no true roadmap to full feature delivery. Lastly, the GuestBook leadership received complaints about technical and performance issues in production. Guestbook partnered with Grata Software to use as a technical consultant to not only improve the application architecture but to procure and manage the right development team to meet the goals of the organization. This included Grata replacing the development firm for a combination of on-shore and off-shore firms with strengths in various areas of software engineering. We were able to help Guestbook move forward by identifying which code was the better foundation and starting point. From there, we guided the client through the process of developing a Minimum Viable Product and assisted them through the due diligence process as GuestBook was acquired by Bluetent. Grata continues to support, manage and assist in the development and architecture of the MyGuestBook product under the Bluetent brand. Today, MyGuestBook is managing thousands of properties and reservations, and Grata is performing R&D for new product initiatives above our current responsibilities. Our favorite feature is more like an accomplishment than a feature. Our ability to work with the CEO as the technology expert and vision for the product, we’re proud we were able to impress the Bluetent team leading to an acquisition and subsequent continuation contract to continue working to build an industry-changing application for them. Grata Software’s efforts have contributed to increased system stability and peace of mind. They provide consistent communication and pay attention to detail. Their wide knowledge base makes them a strong partner. I’m the CEO of Caretime. We offer a homecare software that is used by home care agencies to help themselves run more efficiently. What challenge were you trying to address with Grata Software? We’ve had a hard time finding good maintenance support and development abilities. We’ve worked with an outsourced group and we’ve hired a dedicated developer, and neither worked out. We were looking for a vendor who could do both for us. Initially, they went through a code review and produced an integrity report of how all the systems were working. That was helpful to figure out where we stand and what we needed to take care of. Moving forward they started working on the development – both on bug fixes and new feature development. I work with two people pretty consistently: the owner of the company and the Executive Director of Sales. I’ll hear from a project management resource and a programmer every once in a while, as well. How did you come to work with Grata Software? I’d reached out to them and gotten to know them before ever working with them. I’d gone ahead and hired someone, but, when we realized it wasn’t going to work out, we went our separate ways. I decided to go back and engage Grata after that. I’ve spent between $30,000–$35,000 so far. The biggest thing is that I sleep better at night knowing that they’re watching over all the systems. It’s more of a reduction of stress factor more than any specific KPIs. They’ve been able to put some things in place that allow our systems to be more resilient, which is a huge improvement from where we were before. How did Grata Software perform from a project management standpoint? The owner will provide me with e-mails and updates on where we are as far as hours and project milestones – and that’s outside of the roughly weekly calls that we’re having. A lot of times, I’m in communication with them more frequently, depending on the workload and what’s going on. The responsiveness to requests of the group is a big help. The breadth of ability on the team—knowledge of different programming languages and architectures—is amazing. Lastly is the quality and detail that they undertake in all the work that they do. One suggestion would be to have a little bit more visibility into project milestones on request. 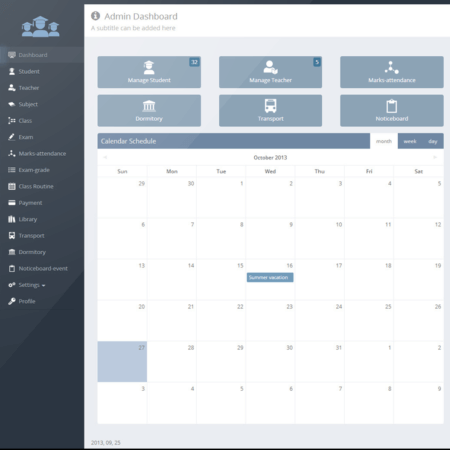 I would love to log on and see a dashboard where I could keep track of budgets and hours. Second would be having different engagement style options: all onshore resources or offshore resources plus their oversight. Yellowstone Landscape is one of the leading commercial landscaping companies in the country, with operations currently in six states – Florida, Georgia, North Carolina, South Carolina, Texas, and New Mexico. Our clients' properties have earned dozens of National Landscape Awards of Excellence, gaining recognition as some of the country’s most outstanding commercial landscaping projects. Grata Software developed a proprietary application on top of Microsoft’s Azure Cloud Solutions that allowed for automated timesheets to be created and printed with minimal interaction from managers. We integrated multiple APIs for GPS data aggregation including integration into their ERP systems to sync HR information and lastly integrated with HPs wireless printing solutions to automate print jobs across branch locations. Grata Software integrated numerous websites and apps onto AWS and manages them. They oversee app development and have written scripts to optimize AWS. Grata Software has significantly reduced site and app outages, going from about 20 hours a year to only two. They’re extremely responsive and maintain open communication. They do more than what’s paid for, making them a reliable and trustworthy partner. I’m the CEO of Six Seconds, a 501 c3 nonprofit focused on helping people practice emotional intelligence. We have regular contractors and internal team members devoted to managing our web services and apps, but we didn’t have an actual IT team. We needed a partner to help improve the uptime and reliability of our products and services. At a high level, Grata Software has helped put our various websites and apps into one place on Amazon Web Services (AWS) and also configures and manages them. They created a process for testing and deploying changes to sites while also maintaining and updating the servers on AWS. They provide architecture guidance for our web apps, letting our contracted developers know if they’ve missed something or need to fix a problem. Our system uses Laravel, .NET, PHP, mySQL, and Microsoft SQL. Grata Software has written various scripts for AWS to help with things like load balancers, the deployment process, and backups. We mainly work with the owner, but we have occasional interaction with other team members when he’s not available and we need something urgently. The CTO of another business recommended Grata Software and said they could solve our problem, so we hired them. We partnered in March 2016, and the work is ongoing. Our website and important apps were having fairly frequent outages before we hired Grata Software. It used to be around 18–20 hours of downtime a year, but now we’ve only had a couple in the past year. They’ve hugely reduced the complexity of solving our problems, which makes my job much less stressful. Our method of communication changes depending on the project. We’ve used Jira in the past, which they helped us configure. As a nonprofit, we don’t have extensive funds, but Grata Software has worked hard to provide services we probably couldn’t afford otherwise. They’re incredibly dedicated to our project, sending emails even as early as 1 a.m. their time. We get a lot more attention than what we’re paying for. It would be nice to have more available team members to work with, but that’s mainly due to cost restrictions on our side. A local B2B Manufacturing Company had operated for over 20 years using antiquated methods of inventory tracking and customer ordering. Mostly on paper, transactions would get lost between the ordering and warehousing. Manually entering inventory data produced inaccurate inventory counts. Under new management, the company called Grata to streamline the order, inventory, and shipment tracking systems to reduce manual labor and increase efficiency. Grata consultants, using our internal consulting framework, performed an analysis on process flow and inventory control and provided advice on areas to improve. 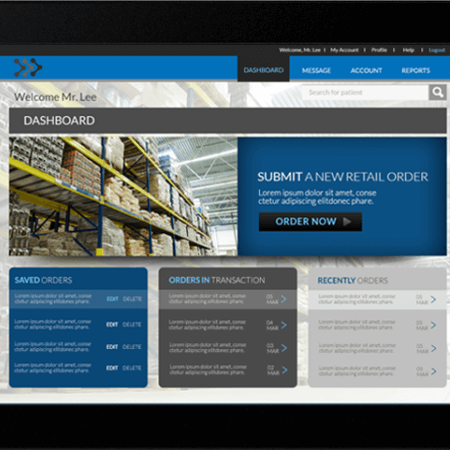 The team architected and implemented a mobile responsive intranet application that allowed for easier inventory tracking and order processing. Several manual processes were automated reducing the cost of operations while increasing revenue with more efficient order processing and deliveries. We worked with an engine manufacturer to develop a custom tracking and end to end sales software to make the transfer of information easy. We worked with an engine manufacturer of one of the top two perennial racing leagues. 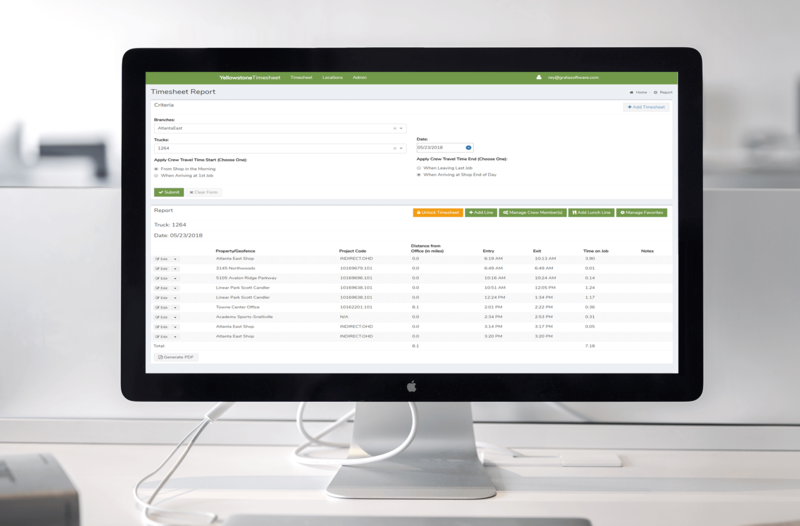 We created a custom tracking and end to end sales software. Here is a Video of what we did! We are always glad to be recognized by industry analysts, to be told how we stack up with other developers in our market and find ways to improve. But at Grata Software our number one priority is providing businesses with the highest quality web and mobile development. 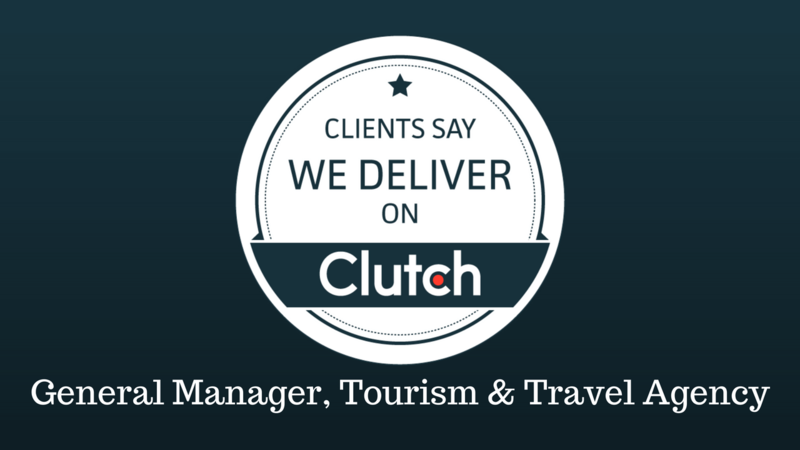 It is with great pleasure that we share some exciting news, we now have a profile on Clutch! 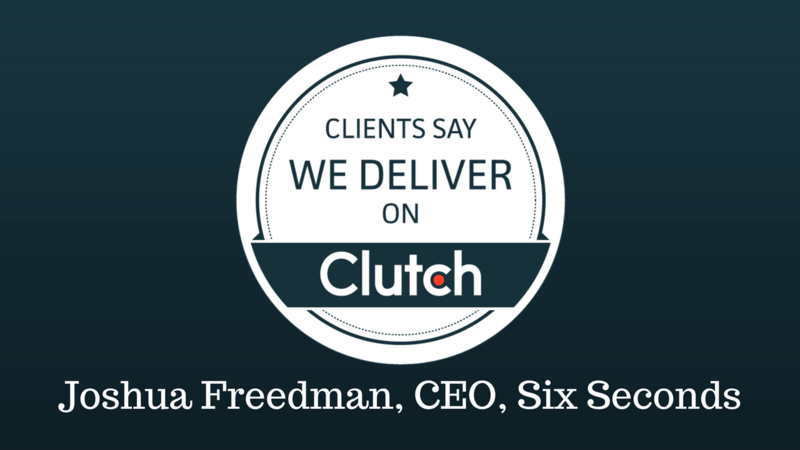 Clutch is a Washington, D.C. based B2B ratings and reviews platform that uses market research and client interviews to recognize outstanding firms in various industries and markets around the world. 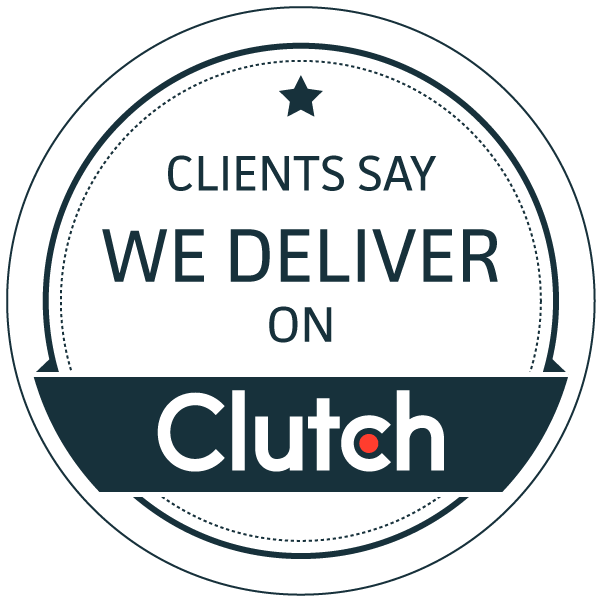 Not only do we have a profile on Clutch, we have been ranked among the best custom software developers in Orlando! 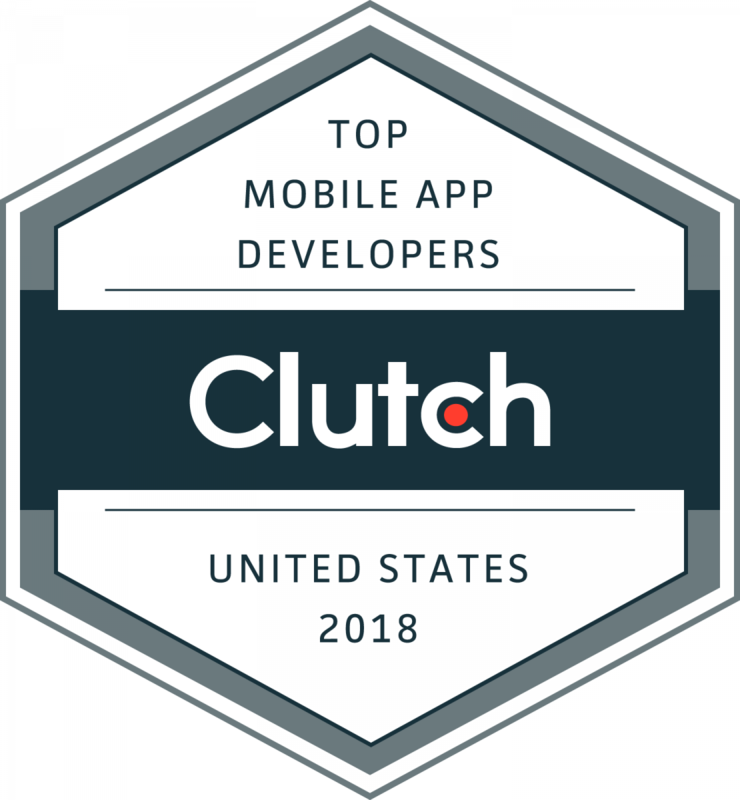 In addition to being recognized as quality software developers, we have also been named a top app developer in Orlando by Clutch’s sister-site, The Manifest. 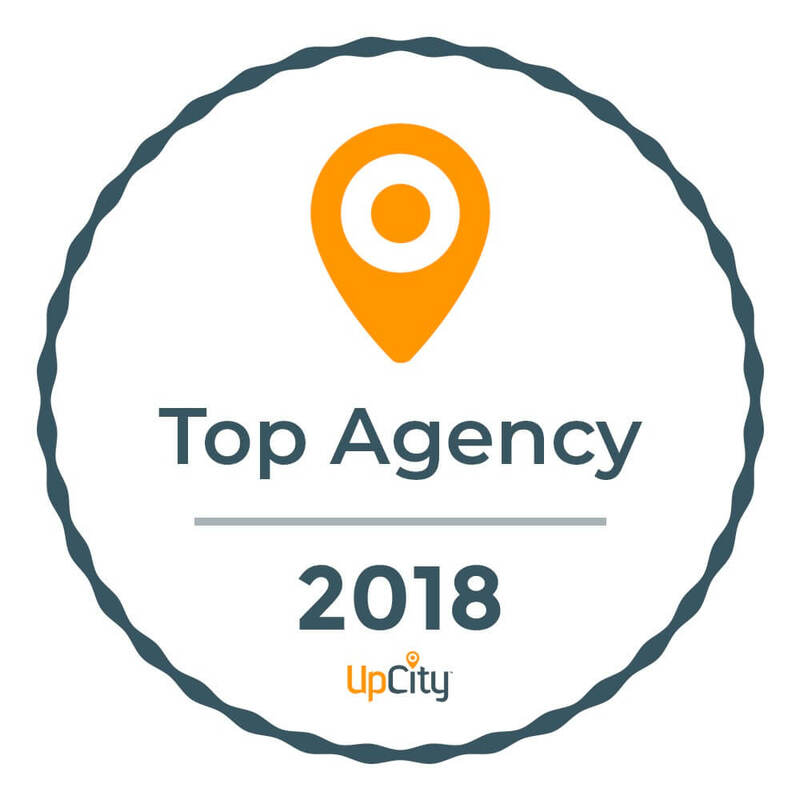 The Manifest is a resource to help teams identify potential solutions to their business challenges, so to be named as one of the best solutions to app development problems in Orlando is an honor. We were highlighted both for our excellence as app developers and a notable project that we completed for a marketing technology agency. we know that we are on the right track. Check out our Clutch profile to read more and keep track of what our clients have to say about us. We provide unparalleled development and support services for all kinds of teams and businesses to help meet milestones and achieve growth. In a world where quality development matters for businesses, we are proud of the assistance that we offer in this digital age. We would like to thank our amazing clients, without their valuable partnerships and support we would not be where we are now, pursuing our passions at the highest level of excellence. We worked with a shipping company to create a solution to prevent shipment loss. Here is a high level overview of how we helped solve their technology needs. This is a video about a Custom Software that was developed for a Food Refrigerant Shipping Company. We used IoT Devices and AWS to develop a mobile app to GPS Track and locate the truck, as well as Control the temperature in the refrigerator shipping container. It's is an honor we do not take likely to be named the best upon our colleagues, peers, and friends. We strive day in and day out to better ourselves and in turn our clients. We Are Proud To Announce That The Manifest Named Us The Top App Development Company In Orlando! It’s is an honor we do not take likely to be named the best upon our colleagues, peers, and friends. We strive day in and day out to better ourselves and in turn our clients. Working with Grata Software is an experience, unlike the rest! Come and see what is like for yourself and reach out to our team today! The original list presented by The Manifest can be found here. The Ogburn School operates year-round, so you can enroll anytime. Our students have the option of working through the summer, so you can graduate early! A private educational institution was recommended to Grata to take a look at issues with the learning management system. The application was developed to handle a testable amount of users but wasn’t prepared for main-stream delivery. Additionally, the programming of the application by its initial programming team limited the ability for the application to scale. Grata’s engineering team made implemented coding strategies to allow the application to function on a scalable platform. Additionally, Grata modified the core application UI to be more mobile responsive to allow for usability on IOS and Android phones and tablets. Grata Software has provided development, management, and consulting services to build an in-house technical team. They executed a platform’s Symphony migration and helped bring an MVP to market. Sales have increased from zero to 2,000 units in short order, with significant results in the last month. The team has fostered a personal relationship with good communication skills and responsive service. They are effective and take responsibility for mistakes, as well as performance. I’m the general manager for a marketing technology agency. We had outsourced development, but needed consulting services when we decided to transition to an in-house team. They assessed our technology and recommended process improvements. Rey, (Founder and CEO, Grata Software) focused on team development and our platform’s Symphony migration. In addition to the transition, he’s helped with software management and the optimization of partner integrations. Rey has also revamped a series of products and enhanced our processors. We now have a minimum viable product (MVP) and are in the process of selling the tool. We work with Rey, a project manager, and an outsourced developer that Grata Software recommended. A mutual connection—a VP of technology—referred them. We looked at several companies but chose Grata Software because their proposal, feedback, and budget made the most sense for our needs. Rey also demonstrated a throughout knowledge of the scope requirements. We’ve sold 2,000 units after previously having none in our system; our team sold several accounts last month alone. Although the software has had bugs, the team completes fixes in a responsive manner. We have daily standups and weekly project meetings. Rey takes on most projects and ensures their completion. Overall, communication is good. We’ve built a personal relationship with them. The team works hard to produce quality results and only take on projects they believe in. Since all projects are slightly different, what they do varies for each product. Today We are asking our Project Manager how designs affect the success and management of a project. Let’s Turn Your Idea Into Reality!